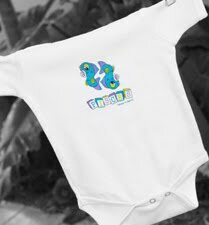 Our company began with a mission to create personalized keepsakes for baby without compromising the environment. 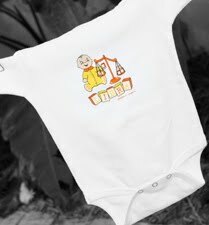 Unlike most newborn gifts, all of our products are personalized with your baby's zodiac sign and it's particular characteristics. 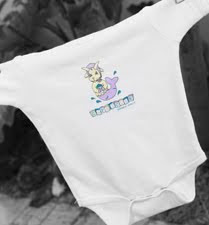 It will make a great keepsake long after baby has grown out of it. 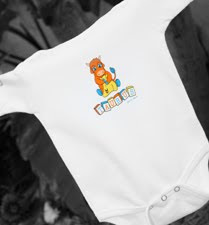 Our line is entirely eco-friendly. 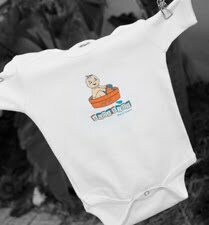 Earth Baby is committed to preserving the natural environment by using 100% Organic cotton and printing images with solvent free, water based inks. 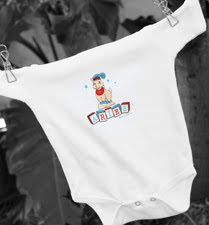 Each onesie comes in a reusable wipes case, an added value for any Mom-on-the-Go. 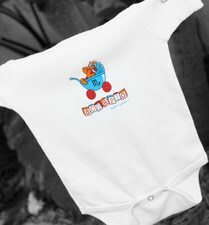 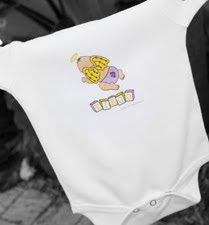 Currently our line consists of baby onesies (3-6 months) but soon we will be expanding to a toddler line and more. 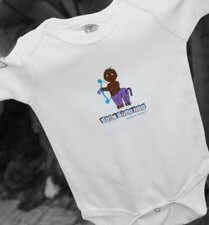 Sign up for our mailing list to keep up with the latest from Earth Baby. 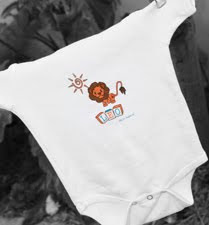 These garments are printed with water based paint on 100% organic cotton. 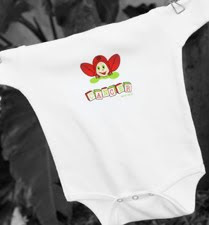 Your one-piece will come packaged in a travel-sized wipes case, made of EVA Plastic. 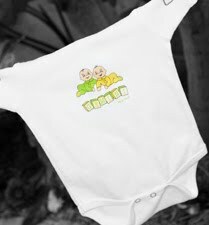 Even the tags are eco-friendly! 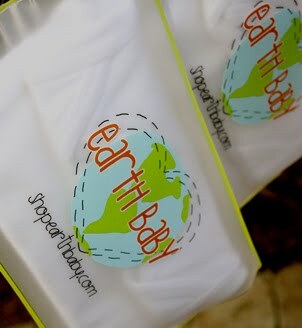 Green Sprouts Breast Milk Storage Bags!